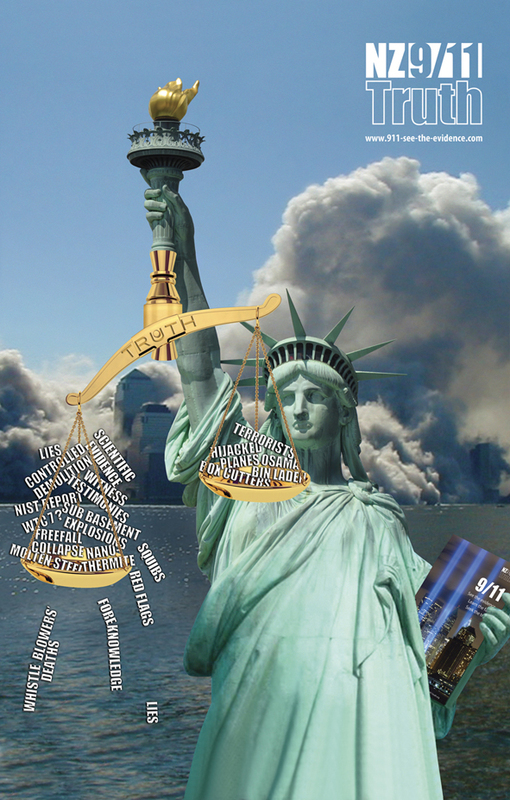 A huge global 9/11 truth movement comprised of citizens and professionals such as politicians, defence experts, military, fire fighters, pilots, medical professionals, architects and engineers is demanding a new investigation into the events of 9/11. Most people are unaware that the Bush administration and other powerful Washington interests strongly opposed an investigation into 9/11. It was only due to pressure from the 9/11 families, that, fourteen months after the attacks, the first hearing finally began. These family members were active in monitoring the Commission’s investigation, providing a list of hundreds of specific, well-researched questions to the Commissioners. In the end, the Final Report failed to answer seventy percent of them. Because of 9/11 NZ is involved in an illegal war in Afghanistan. Since 9/11 NZ has seen a huge change in our own laws, with the Anti-Terror law being one of the most obvious in curtailing rights and liberties. 9/11 was a false flag operation. Both national and international media refuse to cover this subject, so most New Zealanders do not have any understanding of this subject and the possible threat of future attacks which could lead the world into more wars. NZ has experienced its own state sponsored terrorism, (that is even recognized by the mainstream media), in the sinking of the Rainbow Warrior by the French Secret Service. SIS surveillance of Keith Locke is the tip of the iceberg of government intrusion into our private lives. 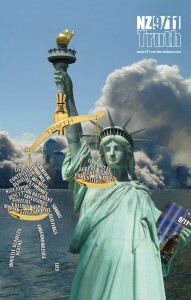 NZ’s own Jeanette Fitzsimons has recently signed the Political Leaders for 9/11 truth (pl911truth.com) website and is supportive of a new, independent investigation. 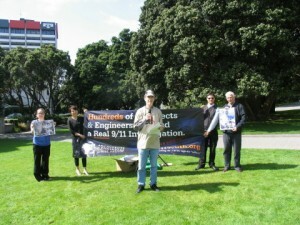 On February 19, Architects and Engineers for 9/11 truth made an historic world wide press conference, which members of NZ911truth supported in parliament grounds. To mark the 9th anniversary of the attacks of 9/11, ae911truth.org are holding a second major press conference and debate / panel discussion at the National Press Club in Washington DC on September 9 2010 http://www.ae911truth.org/news/41-articles/336-ae911truth-gears-up-as-se…. NZ911truth along with other world wide groups intends to again support this press conference at Parliament grounds on 9 September at 11.00 am. Architect Richard Gage, AIA, founder of Architects and Engineers for 9/11 Truth made a crowd pleasing presentation at Te Papa Museum on November 21, 2009. The official people count was over 700 people, but the total number who heard all or part of Mr. Gage’s presentation was probably closer to 1,000. It was easily the largest turnout ever for one of Mr. Gage’s events. Mainstream media coverage and a saturation poster and leaflet campaign were responsible for the large turnout. Here are some links to articles that appeared before and after the event.